Envision the quintessential New England coastal retreat, and it may well look like the Inn at Sunrise Point. Nestled on five acres overlooking beautiful Penobscot Bay, the inn is located just a stone’s throw from quaint Camden and Mt. Battie. “Maine is heaven on earth,” says Margaret. “This is our second summer here, and we hope to return! Inn at Sunrise Point is so peaceful, right on the water. You look out over bobbing sailboats and little islands. 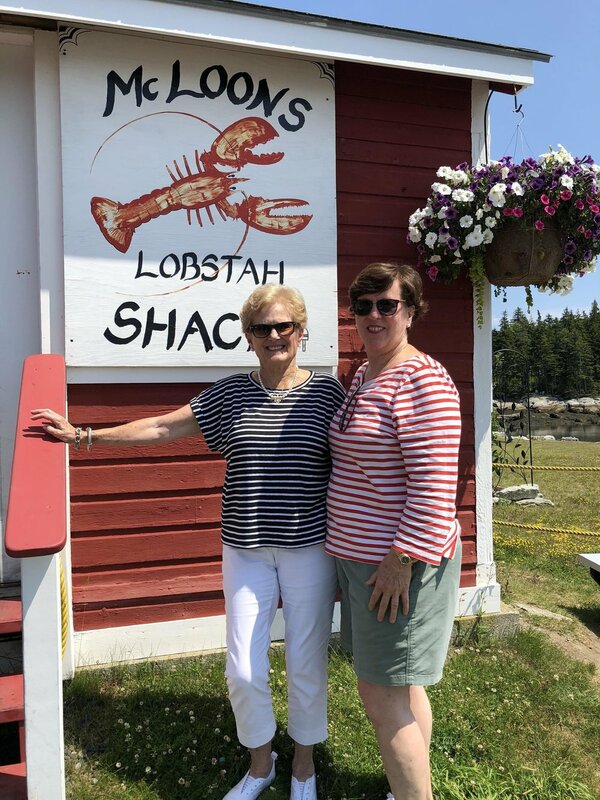 You can hike in the national park, eat lobster rolls, and visit Camden, which is really charming.” This time, Margaret’s daughter, Rebecca Kemp, and sisters, Colleen Summers and Ginny Yoes, joined her and Mildred for a multi-gen girls’ trip to remember!